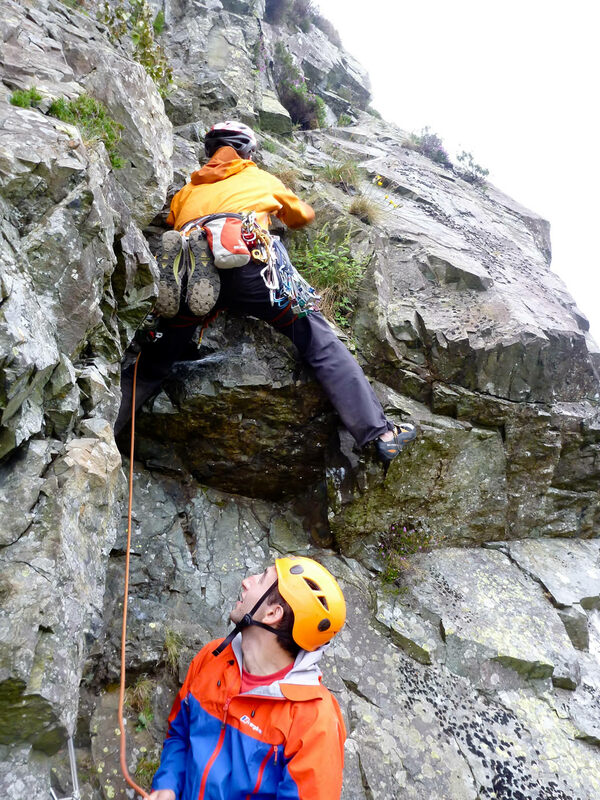 A last minute training weekend for our forthcoming Alps and Tajikistan trips. 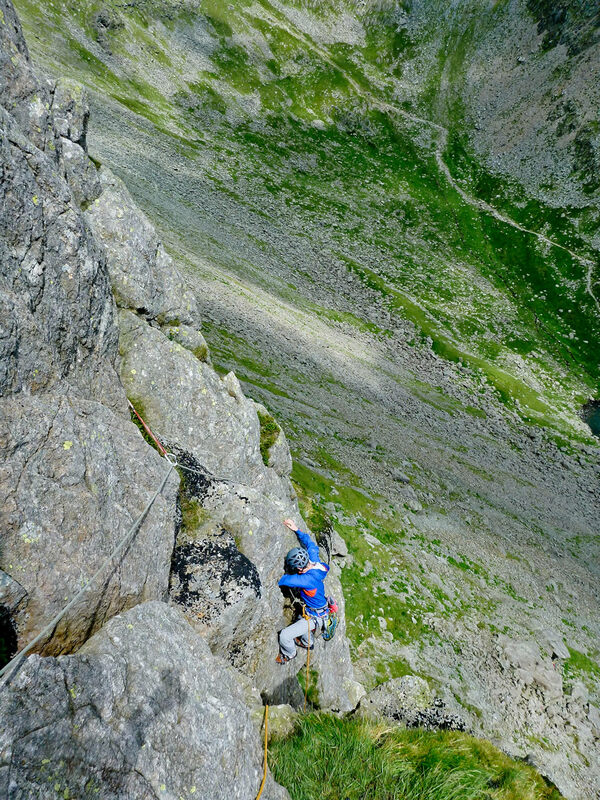 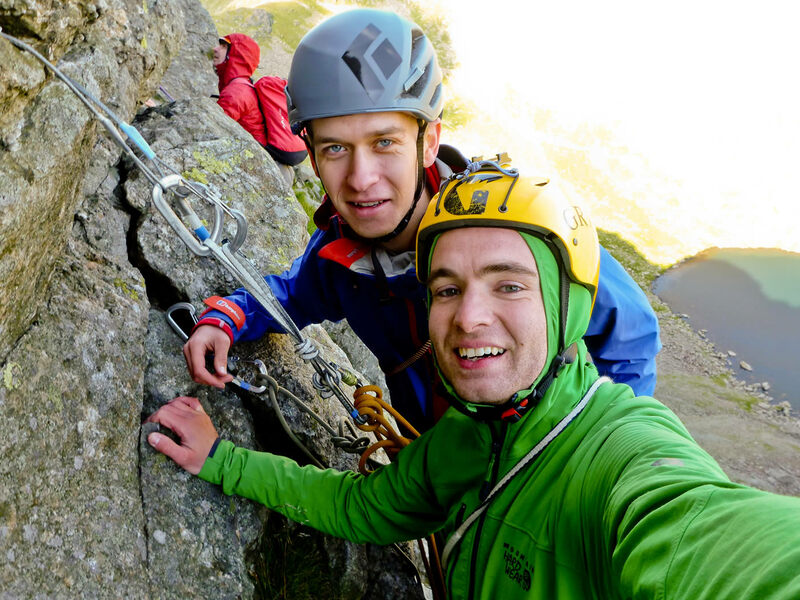 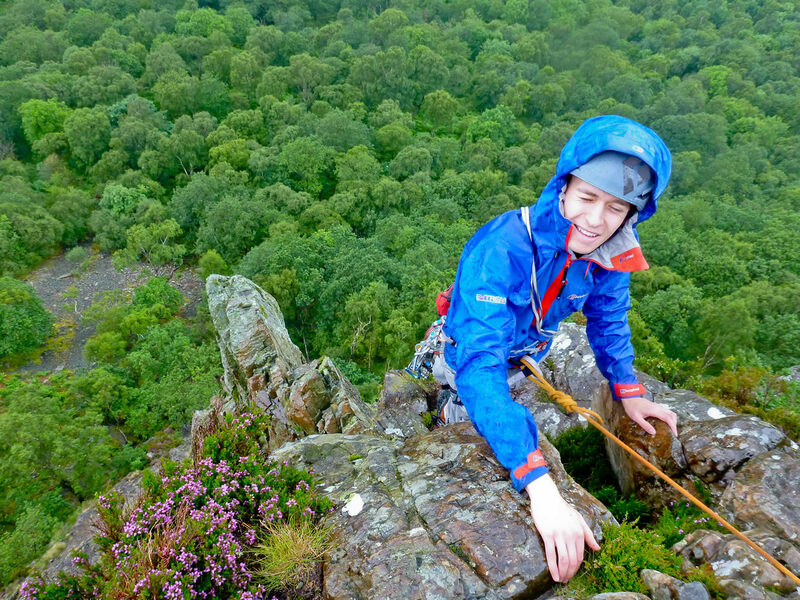 Will joined us down from Scotland and we walked in to Dow Crag on Saturday for a blustery day's trad. 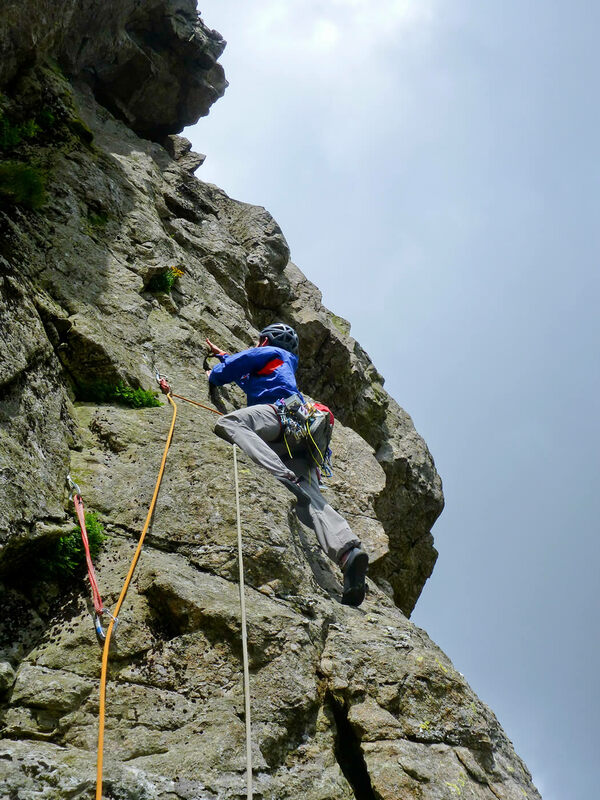 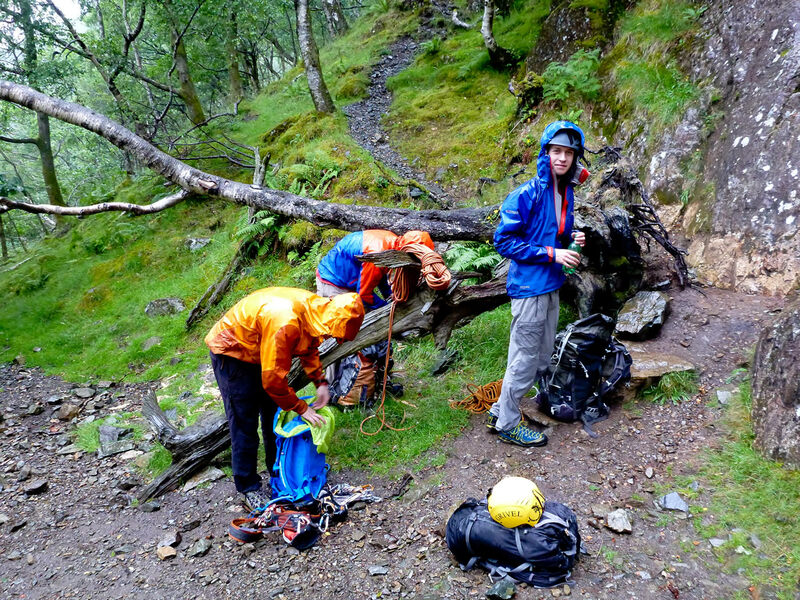 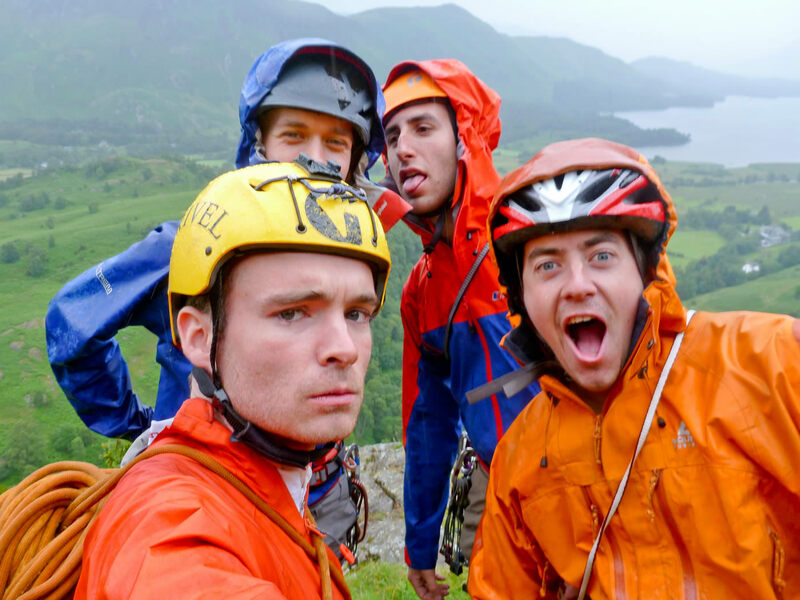 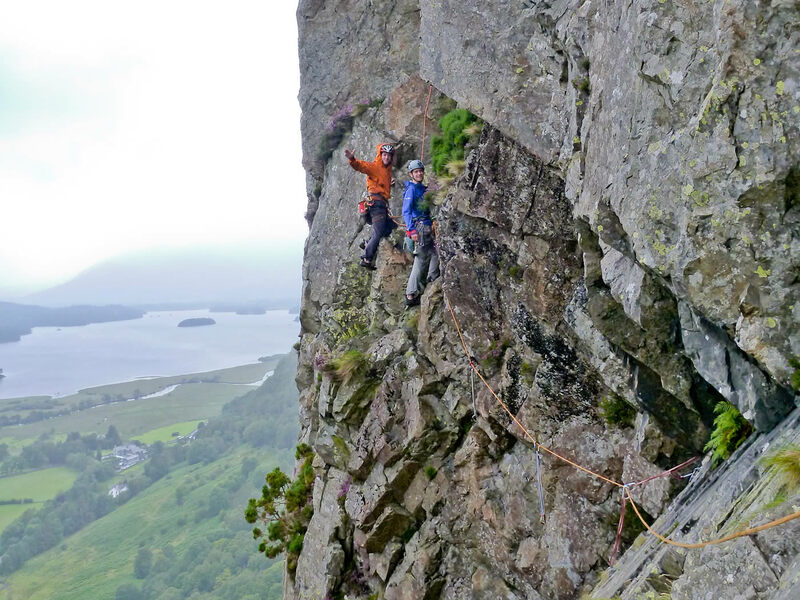 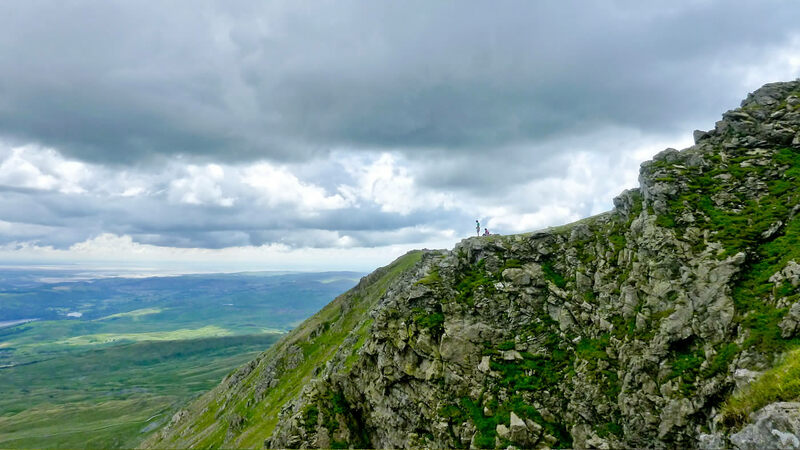 Sunday was looking a lot wetter and we managed a team ascent of Troutdale Pinnacle before the heavens opened.